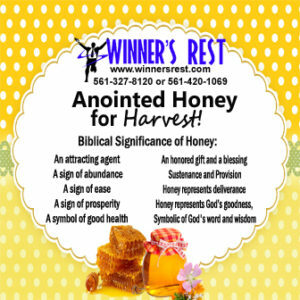 Winner’s Rest Family Worship Center – "At Winner’s Rest we know how to Win and Rest!" Now Available Dr. Michael Hunter's "Keys of Inspiration for Daily Upliftment"
Keep up with the Prophecies and Predictions that have been given by Dr. Michael Hunter which have come to pass! Check out our YouTube page to see more updates! Stay up to date with Winner’s Rest by joining our Facebook family! Help Us to Spread the Good News Across the Globe! Welcome to Winner’s Rest Family Worship Center. God’s Richest Blessings to you and thank you for taking the time to visit the ministry’s website. The bible speaks that “WE are the Salt of the Earth” (Matt. 5:13); WE are called to be “the Head and not the Tail” (Deut. 28:13) and “With God, all Things are Possible.” (Matt .19:26) The Lord has made us Winners in Him and I pray that Winner’s Rest Family Worship Center will bring about a powerful change in your life. It is a ministry based on the teaching of the Undiluted Word of God. The Love of God is the foundation of this ministry. Our focus is on the dynamics of the family, ensuring that His love is reinforced and solidified to create an atmosphere saturated with the fruits of the Holy Spirit. God Bless You, Seer, Dr. Michael Hunter. Bro. Randy & I made these bottles of Oil & asked Apostle to pray over them. I had a lump on my left Breast and I used this oil on it and I asked GOD to burn away whatever that Lump was, in 2 days it was gone and I couldn’t find it anywhere! Dr. Michael Hunter Prophesied to me about a house that I have in Jamaica. The house was up for sale and Dr. Hunter prophesied to me that not only was the house going to be sold but he also prophesied that a man and a woman would buy it, how much they would buy it for and when the house would sell! it came to pass just as he had prophesied it! To God be the glory for this miracle! I got paid on Friday and it was just enough to pay a few of my bills. So I prayed and placed it into God’s hands. Saturday morning when I awoke, there was a divine transfer of an unusual amount into my bank account. It not only covered all my bills. To God be the glory, I am so thankful for His blessings. In 2015, Apostle had said there was woman in the service that had a lump on their left breast. I came forward and he prayed for me, told me to go to the bathroom and check. I went to the bathroom and there was nothing. I did my annual mammogram and the doctor found an abnormal mass but told me to come back the next year for a follow-up. This year, the follow-up exam results showed there was something small so they scheduled an ultrasound a few days later and thanks be to God, everything came back normal! Apostle Hunter is a true man of God and highly anointed in the gift of healing. Anything he says will come to pass. I pray God will continue to bless him, in Jesus’ name! I officially joined the church last Sunday and Dr. Apostle Michael Hunter prayed for me and prophesied to me that I would get a job as a security officer and today which is Friday I received a call from a security company offering me a job, I working immediately! I am truly blessed to be apart of such a life changing ministry! On Tuesday, July 26, I finally went to the mailbox to check my mail. Upon opening the mailbox, I received a unexpected check of $1100.00. I immediately cashed the check and called Apostle and sowed the seed into his life. Dr. Hunter spoke a word of prophecy saying that the Lord would bless Fme with a new car. The Lord then released two new cars debt free for me and my wife! I got a word of prophecy that The Lord would bless me with a new van for his business. While waiting on this word to come to pass I was driving another van that was not in good mechanical shape. I paid $500 for that van. The Lord has blessed me with a new work van in great condition and DEBT FREE!! He also sent someone along to buy the old van from me for $500. I pay my tithes and offerings faithfully and Dr. Michael Hunter ministered to me about getting my home modified which I was struggling with at the time. A few weeks ago I got my home re-modified and I also received a check of almost $1,500. in the mail! My 24 hour breakthrough! On Sunday 4/10/16, Apostle Hunter preached the message “No More Delay, Watch the Next 24 hours!” and I left church in expectancy. Believe me when I tell you, I was just highly favored for the entire 24 hours. Right after service, I stopped at IHOP. I got a job opportunity and free food. On my way home, I got a call from my daughter. She told me to go to the grocery store and I ended up getting free groceries for the entire week, when all I had was $10.00 on my card. Within the same 24 hours, I didn’t just receive, I gave. It was said that it’s best not to hold onto things so I blessed someone with a Mazda car that I had parked and it gave me immediate peace. God is truly moving in Winner’s Rest Family Worship Center and Apostle Michael Hunter is a true prophet of God. I am a faithful giver here at Winner’s Rest Family Worship Center, Dr. Hunter prophesied to me about receiving three checks in the mail, $25,000, $30,000 and $60,000 and with in two weeks I received all the checks in the mail for my business. When I became a member at Winner’s Rest, Dr. Michael Hunter prophesied to me in September 2011 that I would receive a black car. I went to the dealership in December and bought my first car. It was a white 95’ Ford Contour, which what was prophesied to me. Obedience is better than sacrifice. Kelly (name of my car) only lasted about 3 months; the engine blew and the transmission went out. So in March 2012, I went back to the car dealership and this time I took home a black 2003’ Ford Taurus. God is good! Apostle also prophesied that I would get the job at the juvenile facility called “YSI”. I completed the application and went to the interview, but it was on my 3rd attempt that I got the job. He also prophesied that I would get my first apartment. I moved in June 19th, 2012. Then, in January 2015, Apostle prophesied that I would receive another car and job. I received my new car in February and I started my new job 3/26/2015, making more money with benefits, an office space with my own desk, phone line, business cards & keys to the building. Listen, DR. HUNTER IS A TRUE MAN OF GOD! If your prophecy has not come to past as of yet continue to be patient because nothing Dr. Hunter says falls to the ground! I have been persecuted for more than 20 years. Everything was locked down for me. I was thinking that something was wrong with my name, Glenna. My credit was bad for more than 10 years and I felt I was dead. Finally, I came to Winner’s Rest Family Worship Center. Dr. Hunter told me everything about my life. He told me that God was going to release my finances and set me free from Witchcraft. He, then, asked me if I had filed taxes yet and to sow a seed. I hadn’t filed taxes since I hadn’t worked for almost 5 years. I was obedient and went to file my tax return and I received the approximate amount of the seed. I, also, received credit card offers and a job. 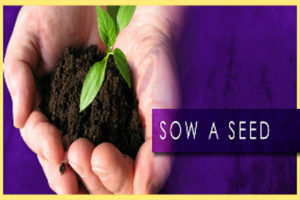 I have returned to sow my seed and to God be the glory, now, I can see that my life is changing for the better. Apostle Hunter prophesied to Sis Terri that the Lord showed him her baby was coming forth. Today, Bro Hugh texted Apostle and let him know that “Sis Terri has gave birth at St Mary’s Hospital.” This prophecy given by Apostle Hunter came to pass in less than 24 hours. What an anointed vessel! He is the Prophet! 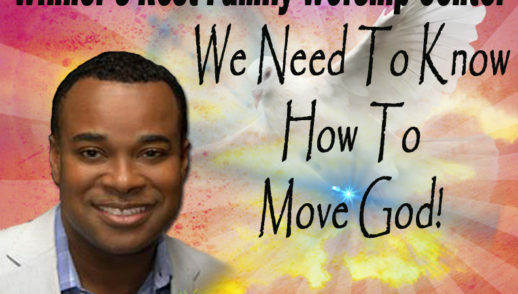 When I first met Dr. Apostle Michael Hunter, I was on the brink of giving up on everything. He prophesied to me and truly gave me great hope in my situation. My faith was built from the very first day. That was 11/2/12 and my life has never been the same. Everything he has ever prophesied has come to pass. I moved on this Word! Apostle told me that God would bless me when I step out on faith. He prophesied that I would move to the US. I relocated from Jamaica two weeks later and joined the ministry. I was living with my parents then and Apostle prophesied that I would move out and get a place of my own. At the end of 2013, I moved into a 3 bedroom apt with my son and 2 roommates. – He prophesied that God was going to bless me with the best job and thanks be to God I am in the best job ever. – He prophesied to me that I would be married and this man would not only be a great husband but he’d also be a great father to my son. I must say that the Lord has truly blessed me with the love of my life and he is more than I ever thought he would be. We married and Apostle said that we would move into our own place. We moved two months later into our own 3 bedroom apt. Dr. Apostle Michael Hunter is a true man of God and the best Shepherd. Papa, Thank you for your love and I thank God for you and this ministry! My Life is Much Better! Since I’ve become a member of Winner’s Rest Family Worship Center, my life has changed for the better. Apostle Michael Hunter has prophesied that I would get a new job; a job working with older patients making more money. That prophecy has come to pass. I now work with older patients and make way more money than my last job. Apostle Hunter also prophesied that I would get my own place; I am now living in my new place with my kids. I have also received my first pay raise, and this has never happened at my company before, so I know that is favor. The Lord has truly been good to me and my family since joining this ministry and I am looking forward to all the other prophecies Apostle Michael Hunter has spoken over my life. Again, I say that I am blessed to be in such a powerful ministry with the Prophetic Sniper! I have a mountain of bills back in Jamaica and along with them my little son’s school fees. He is to graduate from Campion College this July and I have been worrying about this. Reason is, if the fees were not paid, he would not have been allowed to graduate and I didn’t want him to miss out on his graduation because of me. My mother who lives in New York decided to vacation in Jamaica and I offered her my house to stay and relax. She surprised me when she said that she paid off my son’s school fees which were a little over one hundred thousand dollars. I was shocked as I wasn’t expecting my mother to do that as I never told her about his owed fees. With all the other bills owing, I still felt a weight being lifted off my shoulders as I didn’t have his school fees and his graduation now to worry about. I’m giving God all the praise and glory as He is worthy and deserving if it all! I had to relocate to Florida from New York because of on-the-job injuries that I had sustained. At my Doctor’s suggestion, he said the climate in Florida would help the healing process. I moved in November of 2006 and I started visiting several churches. In May 2010, I was diagnosed with Cancer. I went into serious Fasting and Prayer and I was healed. My faith was taken to another level and My Heavenly Father kept speaking to me in a deeper and more confounded manner. I was then, invited to Winner’s Rest Family Worship Center in November 2013. The Word, the Anointing, the Praise and the Gifts are flowing through Dr. Apostle Michael Hunter. I am so grateful to Him for giving us the Love and Passion for Christ. This is the church of the Last days and I am inviting each and everyone to come and have a life changing experience. God Blessed Me with A Wife! The first day I came to Winner’s Rest, Apostle prophesied that I would get a car and be in the newspaper for playing football. Everything came to pass. Not only did I get a vehicle but I was on the front page of the newspaper many times for playing football. In 2013, he prophesied that I would attend and graduate from a state college with academic honors. In May 2015, I attended Florida Atlantic University, graduated with my Associate Degree with honors and I’m now pursuing my Bachelor’s in finance. Apostle has prophesied all the jobs that I’ve had and I’ve gotten 3 debt-free cars. He prophesied that I would find my wife. On October 24, 2015, I married the most beautiful woman in the world. He has since prophesied a home and we just moved in this month. Praise God for anointing such a dynamic man of God – my Papa, Apostle Michael Hunter. I wrote on my tithes envelope that 1 wanted the Lord to bless me with a Ford F250 truck. Less than a week later the Lord blessed me with a wonderful F250 truck and also allowed me to name the price I wanted to pay for it! I just received a promotion to supervisor on my Job. I was working two jobs but now I only need to work one! I was also blessed with new car! Apostle Hunter gave me a word from the Lord that I would be run a medical college. I can say that word came to pass. I oversaw 3 schools campuses. Last year, I was given a word that I would be driving a Toyota Venza. Dr. Hunter came into agreement with me for that car. I test drove the vehicle about a week after receiving the Word, but did not purchase it. Dr. Hunter told me that it was time to move ahead with the new vehicle purchase. Two days after speaking with him, my search began. At the first car lot, I ran into several complications so I left from there and went across the street to another car lot. The manager came outside to greet me and told me that I should just pick a car and it was mine, not knowing that the very car of my desire (the Toyota Venza) was on that lot. I found it tucked away behind several other cars. Right then I claimed it to be mine. The manager showed me tremendous favor. He allowed me to trade the vehicle that I was driving for the new Venza that he had. It was an EVEN SWAP!!! Praise God!! I didn’t have to put down ANY money at all!!! The car is now mine!!!! My God is a Mighty God!!! You don’t have to settle for less because JESUS has the BEST!!!!! First, let me start by saying that I feel super blessed that God brought me to Winner’s Rest Family Worship Center and my faith has grown tremendously. Apostle has prophesied so many amazing things and God continues to blow my mind with his blessings. The first thing that came to pass was when Apostle prayed for me and said that my car was released. It was the most painless process getting my New Volkswagen Turbo. Apostle, then, prayed favor after my job interview and I got a better job with more money as a motivational coach with middle school kids. I also got accepted into the Master’s Program at Palm Beach Atlantic University. God gave me the gift to sing and I won the title for the Filipino (Philippines) Idol for Florida. To God be the glory! Apostle has prophesied that my music career is released, my husband is released and I will be married before the year ends as well as doors shall open for me and God will bless my socks off. I am so excited for all of those to come to pass as all the others have. God is Awesome and Apostle Hunter is a true Oracle of God. God Gave Me A Son! Apostle gave me a prophecy that I would get married and have my son. He also gave me the name of the child. I had written the name and kept it in a safe place. Thanks be to God, I met my beautiful wife in the church and my son is here and he is named as the prophet had spoken. Dr. Michael Hunter told me at the end of 2013 that I was going to get the best job ever offered to me. 3 other jobs came up but they were the counterfeit ones. I prayed and fasted for 28 days and waited on the Lord. I then applied to a job in the pharmacy. When I was called for the interview I was offered 2 jobs at one time. Also I was offered $2 more than the regular starting pay, and then the manager offered me to be a partner in the company. All these blessings came as Apostle said would happen. Praise God! In 2013, Dr. Hunter told me that I would be getting a van. On Friday night (May 23rd 2014) he said that I would get a van and I received the van on Saturday May 24th 2014. This is the second time that he prophesied that I would get a van and I did. I sewed a first fruit seed into Dr. Hunter’s life on the behalf of my son. My son was falsely arrested. He went to court and the case was dismissed. His lawyer also reduced his fees. He experienced great favor. Dr. Hunter prophesied that the Lord would bless me with a truck and before the end of the night the truck was released into hands! Miracle After Miracle for Me! On February 20th, 2015 Dr. Apostle Michael Hunter prophesied to me that I would come home from St. Louis, Missouri and be involved in the Youth Ministry and be on the Praise team. Praise be to God, these events have come to pass! Recently, Apostle prophesied that I would receive a new job. In less than a month, I walked into a very large, reputable animal hospital to simply drop off my resume and I received favor immediately. I met the Director of the organization and at the end of our impromptu interview, I was hired on the spot with the director saying I was “the perfect fit”. I must recognize, honor and brag on Dr. Apostle Michael Hunter. His anointing is not to be taken for granted or to be trampled on. He is a true prophet! I have so many testimonies from every prophecy I have received from Dr. Apostle Michael Hunter. In 2007, it was prophesied that I would have 3 sons. I have had 2 sons, Elijah and Isaiah, since then. In 2012, I was given a prophecy that I was going to start a new job and I would be starting my own business. I was hired as an Economic Development Specialist in January of 2013 and expanded my stock (day trading) company to a Land Development consulting company which I have been running since 2013. In 2015, it was prophesied that I would get elevated to a deeper spiritual level. I have always had dreams and visions, and had a gift of discernment but, since that time the discernment of people and the spirits within them, and the visions I have been given of what is to come for this country and the rest of the world has become much clearer and much deeper. In 2016, I received a prophecy that I would get favor among the wealthy, White, Jewish, and Spanish. I received my first Jewish client for my consulting business about 2 months ago. I have recently been connected with land developers looking for property between 9-10 million dollars. When it is bought, they want to hire me as their land development consultant. “I feel blessed to have a modern Pastor who inspires, motivates and teaches his congregation to Set Goals, Work Hard, Follow their Dreams and be successful in whatever they desire. They SKY is the LIMIT” Thank you Pastor Michael Hunter.” Marcia has been employed at an Airline company for the past 18 years as a Sr Manager and is married to a Captain of Southwest Airlines. She is a new member of Winner’s Rest Family Worship Center. The Lord used Dr. Michael Hunter to minister to her saying that the Lord would give her witty inventions that would propel her from the red carpet of Winner’s Rest to the red carpet of Hollywood. Pastor Sledge was in an accident where a car rear ended him while at a stop light. Pastor Sledge was in a lot of pain from his right shoulder down to his back. He called Apostle Hunter to pray. Pastor Sledge knew God would be in the midst for him to receive his healing. Doctor Hunter prophesied many things into his life and they have come to pass. Pastor Sledge stated that Apostle Michael Hunter’s words to do not fall on stony ground and that he is a true man and a true prophet of the Most High God! He also states that when you receive a word from this true man of God please listen and follow his instructions because you will be blessed! Pastor Sledge had surgery which he was told would take 2 hours but it only took 45 minutes. He was told he wouldn’t be able to move for a few months but he was only down for 5 days. Pastor Sledge is able to bend, twist, and turn his body. To God be the Glory! Doctor Hunter also prophesied that Pastor Sledge’s wife Dr. Jacqueline Sledge will receive a better job, and a promotion on that new job. Dr. Sledge received the new job along with a promotion. Apostle Hunter prophesied to me that God was cancelling untimely death off my life. Recently, I was driving in rush hour traffic on Interstate 95 (I- 95) during stormy weather, and was involved in an accident. The impact caused my car to spin around and hit the concrete barrier. When my car came to a stop, the doors could not open. I was trapped inside my car, and now it was facing the speed lane of traffic on I-95. But I thank God for His divine protection. He protected me from a tractor trailer that was nearby. I also thank Him for using an undercover police officer who, immediately, stopped and blocked the lane to detour oncoming traffic. After the accident, God blessed me with another car. My greatest thanks to God is for using Apostle Michael who pray for God’s divine protection for their members on a consistent basis. 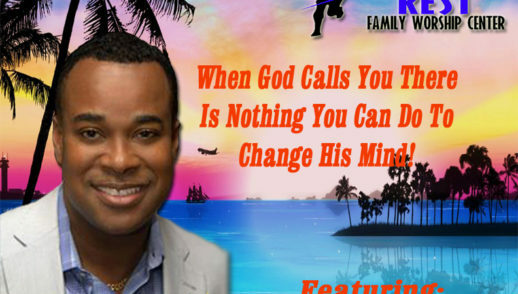 Apostle Hunter had spoken to me over the phone and he prophesied many things over my life. He prophesied that I would leave Jamaica and move to Canada and he prophesied that I would get married. He also told me that my Permanent Residency documents would be approved in February 2016. Lastly, he prophesied that I would get a job. Everything he said came to pass! I moved to Canada and got married in 2015. I, then, filed for my Permanent Residency and was awaiting a response from the government. But thanks be to God, just as Apostle said, I was approved in February and received my documents in the mail on March 31st 2016. I, also, received a job soon after. I have since become a covenant partner with this ministry. God bless you Apostle Hunter! You are a True Prophet of the Most High. My home was being foreclosed on but Dr. Michael Hunter prayed for me and prophesied that all would be well. I went to court and not only did my lender forgive me of $260,000 of debt but they turned around and gave me $25,000 cash back. I also got a brand new 2015 Nissan SUV. While living in Grand Rapids, Michigan from 2012-2013, I attended school. I made so many mistakes and wrong choices that I reflected on and wondered why I did them. To constantly move around was hard, but I had found a church. I was the only one in my family in Michigan, and while there, I was in and out of the hospital. My mom was living in Florida and was attending Winner’s Rest Family Worship Center. Dr. Apostle Michael Hunter prophesied to my mom that I would be joining her in Florida and that word came to pass in May 2013. When I came to church, Apostle gave me a word about being a member of his church and being on the Worship team. I have now been a member of Winner’s Rest Family Worship Center for the past two and a half years and still going strong. I am a proud member and honored spiritual son of Dr. Apostle Michael Hunter. To God be the glory! Recently, I had a court case in Florida, and Dr. Apostle Michael Hunter prophesied favor and that all the charges would have been dropped. On my day in court, the judge dropped all the charges. God is truly amazing and I’m so blessed to be under coverage of Dr Apostle Michael Hunter. I was out of a car for a few months. Dr. Michael Hunter prophesied to me that I would be getting a new SUV. I went on the car lot on Monday which was Memorial Day with my father, Dr. Michael Hunter and the Lord released a New Toyota Highlander for me! The prayers and prophecies from Dr. Apostle Michael Hunter saying that our home would be released has been fulfilled. On Thursday June 11th 2015, within 10 minutes of Apostle Dr. Michael Hunter’s last prophecy saying “The home is released for the Moore’s “ We received the confirmation call! Not only was the home released but also brand new furniture. The process was very challenging and we faced a lot of roadblocks, but we stood firm on our Apostle’s word. God sent an angel in the form of a leasing agent to manifest his supernatural blessings. We know this because after the approval of our lease on the 11th, we went to sign the lease on the 12th and upon our arrival we found out that the agent was no longer on the job. She resigned by email after approving our lease. We give thanks to our spiritual parents for their prayers, spiritual guidance, and continued support. Also thanks to our Winner’s Rest family for their prayers. Dr. Michael Hunter prophesied that God would bring about a reunion between myself and my biological father about 4 years ago. God has been doing exactly that. My father and I have been separated for the past 21 years. Apostle Hunter also prophesied that my father would get his Canadian Visa and then his American Visa which happened in May 2015. He will be here to visit me at the end of June! Dr. Hunter prophesied that I would be able to go back to university to purse my degree in Neuroscience and Behavior and Psychology, I started in the Spring of 2016 and I’m making all A’s. Dr. Hunter prophesied favor over my life and I have been experiencing amazing favor in every area of my life! When Apostle Hunter first ministered to me, he told me God was going to bless me with a new car and a new job. In less than a week of receiving the word, I got both! Last year, Apostle prophesied that if my husband would not do right by me and his children, God was going to strip him of everything. Well as of February, he moved back to Florida, sold or gave away everything and is jobless. Then, on Friday 04/08/16, Apostle prophesied that I would be getting a promotion and all the jobs that we don’t have the qualify for shall be released. By 04/12/16, I was promoted to the Office Supervisor for the Trauma Center at my job working hours that now allow me to start attending church more. Apostle, My Papa, My Spiritual Father and Mentor, I want to thank you for always praying for me and my family and always encouraging me to press on no matter what, because God is able. God bless you, Man of God! Dr. Hunter prophesied to me that I would get a new job and within two weeks I received that new job! Unexpected Checks in the Mail! On Sunday during service Dr. Michael Hunter Prayed for me and told me that I was going to receive a check from Connecticut that is owed to me. On Monday I went to my mailbox and a check was there. Then on Thursday I went again to my mailbox and there was another check! I got My Mini Cooper Blessing! God has blessed my niece Regina from Orlando with a 2015 Kia. Three months later, my sister, Wendy, called to let me know that God has also blessed her with a new car; a 2016 Honda. My other sister, Brenda, was blessed with a 2015 Ford F150. In 2015, someone broke into my storage and took everything that was inside. My lawyer called and told me that I have a good case and I don’t have to worry about anything. During this last week, I went to get a tire change, oil change and an alignment. All this was worth $780. However, I did not have to pay for anything. All of my testimonies above are through Apostle Michael Hunter. On Sunday, I asked Apostle to pray for me because I was told that I was going to owe the IRS over $1000 in taxes. He prayed for me and spoke debt cancellation. After church, I went to speak to a tax advisor and she explained what the issue was. She then proceeded to prepare my taxes and it turned out that instead of owing the IRS, I received a refund, and it was more than enough to pay the fees to prepare the taxes. Thank you Apostle for all your love, support and prayers. In Early 2014, my sisters and I, who were part owners of a commercial property, was asked to invest $20,000 to keep it going. We decided to sell it but all 3 sales attempts fell through. After Apostle prayed for the release, we each received checks of $60,000, $800, and $13,300. Praise God! Then, in November 2015, Dr. Apostle Michael Hunter, prophesied that the Lord would give my family and I three miracles before the year ended. It had been over a year that I’d been trying to sell my Fort Lauderdale condominium to move closer to Winner’s Rest Family Worship Center. Two sales attempts fell through but in mid-December, we found a buyer. The first miracle included this sale which relieved me of over $100,000 worth of debt. My son, daughter, granddaughter and ex-husband had been looking for a new home to buy together. They found a home they loved, but had challenges to purchase it because the renters refused to move out. Pastor Hunter asked me how the home-buying was coming along and when I told him, he said, “I’ll pray them out and it is done in Jesus name”. The very next day, the renters moved out and my family was able to complete the purchase, enjoying Christmas in that beautiful home. This was the second miracle. The closing costs and costs of moving concerning the sale of my condo, had set me back a bit financially. But just before Christmas, my sister in Minnesota informed me that there was money left to be dispersed from the sale of a property. My sisters and I, each, received a check for $6,665. This was the third miracle that happened right before the end of the year just as the Lord had spoken through Apostle Michael Hunter. I can’t stop singing the praises of the Most High. God favored me after being promoted twice in one year with a major commercial bank. Apostle prophesied another promotion in management and within two weeks I was appointed to a management position with my company. It was some time ago that Apostle prophesied the release of a car for my daughter. He also prophesied, before she went to college, that she would have favor all the way. My daughter had also embraced the principle Apostle taught us to tithe and make offerings regularly from any and every incoming funds. Apostle Hunter said, “release”, and sure enough Natalie’s father agreed it was time for her to have a car. Although it needed some work when she received it, I told her to sow an extra seed into Apostle’s hand to achieve the release. She was reluctant at first, but obeyed, and then God showed up. Within hours she was able to receive her car for her journey back to school. Recently, I walked into a fair and one of the booths had a giveaway. Within an hour of completing the form I received a basket full of tools. Why this is so significant and truly a confirmation from God is because Apostle Hunter has prophesied that my house has been released. To God be the glory! Great things He continues to do! Dr. Michael Hunter prophesied to this young lady about getting a major promotion in the Police Department. She was promoted to be the first black female Assistant Director of Miami Dade Police Department! Apostle has prophesied so much over my life in the last 3 yrs, he has canceled accident and death off my life and I avoided accidents, shortly after. He spoke promotion on my previous job, when I was wavering whether to apply for a leadership position. At the time, I was getting a fight but in the end I was promoted. On my present job, Apostle prophesied new job, in Palm Beach, promotion, months later I resigned from my job receiving a new job in Palm Beach and after 2 weeks in training, I received a promotion as a supervisor. He also prophesied new vehicle. I had no credit and shortly after I received with no credit a 2015 Infiniti Q50 S. Even the sales guy was amazed but God worked it out. Apostle prophesied a new apartment. Again, I had no credit but was approved. He prophesied a dance ministry and that I would be traveling with the team. I am now the leader of the dance ministry and have started traveling. 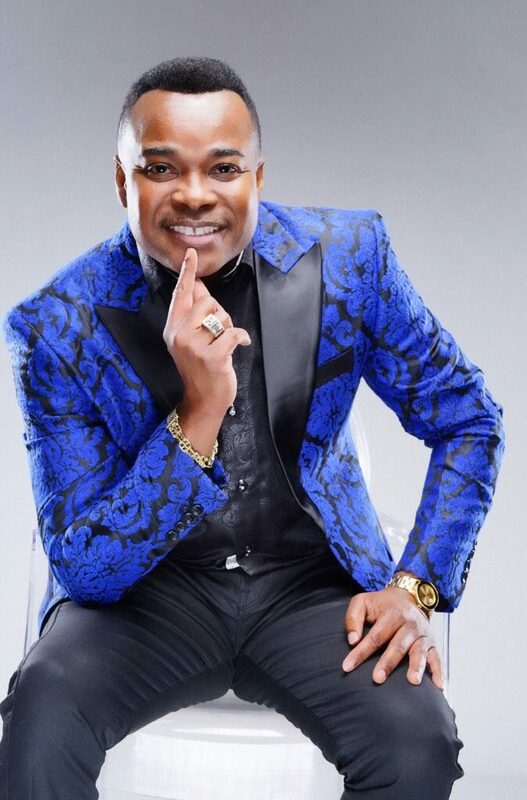 He prophesied that I would prophesy with precision and to date, I have publicly prophesied to 2 ladies, 1 in our church and another while on New York’s missionary trip. Apostle prophesied that my kids will lack for nothing, my daughter’s school fee will always be paid and people shall bless them. I can confirm that my kids lack for nothing, are always being blessed and the school fee is always paid in full. I can go on and on but I would need a book. God is so good and I am truly blessed with lots more testimonies to come..
My two daughters, Lindsey & Kaely, have been riding and competing in Equestrian Horse Show Jumping their entire life; and were already accomplished riders before I started attending church at Winner’s Rest Family Worship Center. They enjoyed their share of wins yet were not considered the top riders in their sport. After I started attending Winner’s Rest, they soared to the top. Apostle Michael Hunter prophesied that a champion horse would come into the family and that they would be best in the nation. Shortly thereafter, Bonaparte, a gorgeous white horse valued at $250,000 was given to Lindsey through a series of very uncommon events. We would have never been able to purchase such a horse, and they are currently ranked “Best In The Nation”! He also prophesied that Kaely will be in the Olympics and will win the gold. She never considered this as possible, yet since then she has been competing in pre-Olympic style competitions and her team won the gold and Kaely personally achieving 1st place overall in the competition.. I look forward to the Prophecy being fulfilled! This can truly only be God and His Divine Favor upon this Ministry. Everything Apostle Michael Hunter has prophesied has come to pass. The Lord also used Apostle Michael Hunter to minister to me about my broken heart and then Lord healed me of depression. I am so blessed to have been introduced to Winner’s Rest Family Worship Center by my dear friend Linda, and there are no words that can express my gratitude. 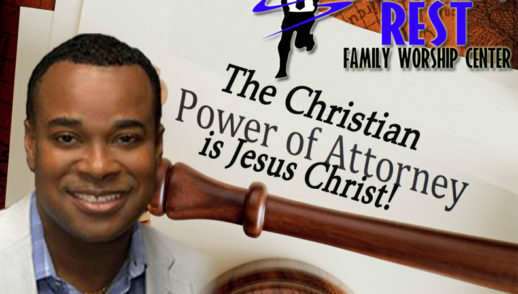 Dr. Michael Hunter breaks down the word of God on how to obtain the grace and favor of having Jesus Christ as your Power of Attorney!